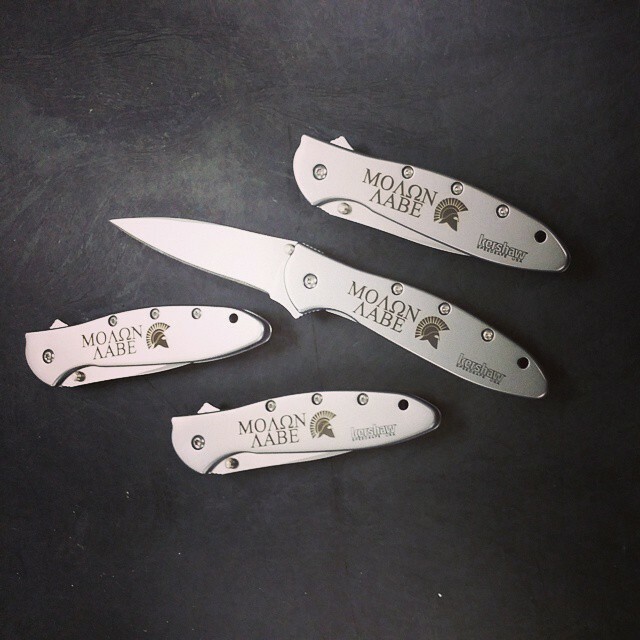 Molon Labe, means Come and Take. This phrase was used back when the Spartans were up against the overwhelming strength of the Persian army. Although outnumbered tremendously, the Spartans held off the Persian army long enough for their people to escape the city. Even though the Spartans were defeated the moral victory that came through this fight has stuck throughout the ages. Since then generals over history have rallied their troops when faced with similar circumstances. One more recent battle that comes to mind is the Battle of the Alamo, where Molon Labe philosophy one again repeated itself. Even more recently, Molon Labe, is an adopt phrase for those that support their 2nd Amendment rights to bear arms. Molon Labe, come and take it!